Simple and stylish, these earbuds have a simple one-button control for play/pause function of music and phone call answer/end call. 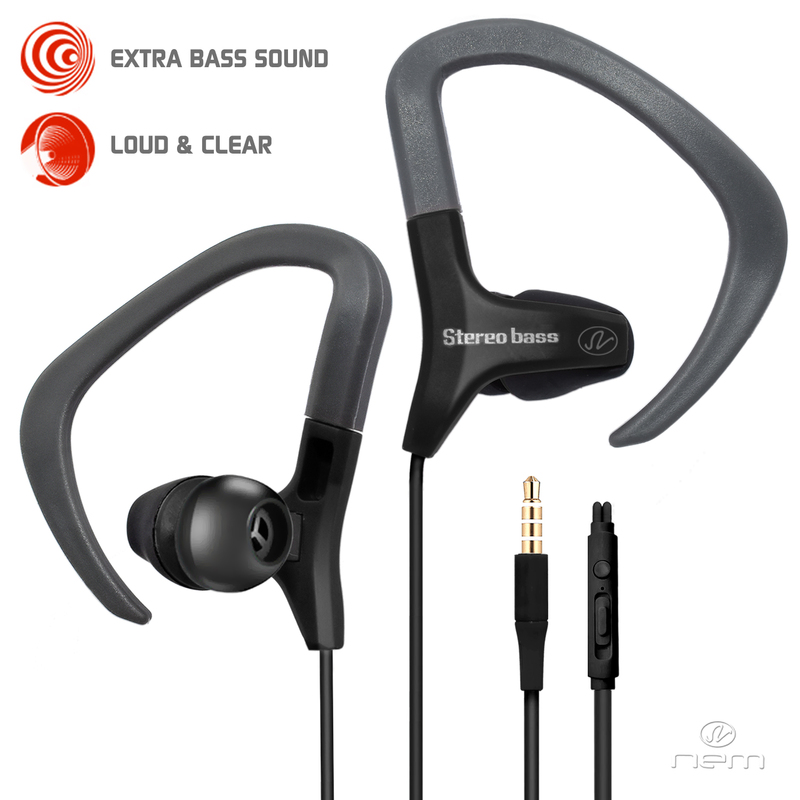 The three included different sizes of earbud tips make these universally comfortable for any user. 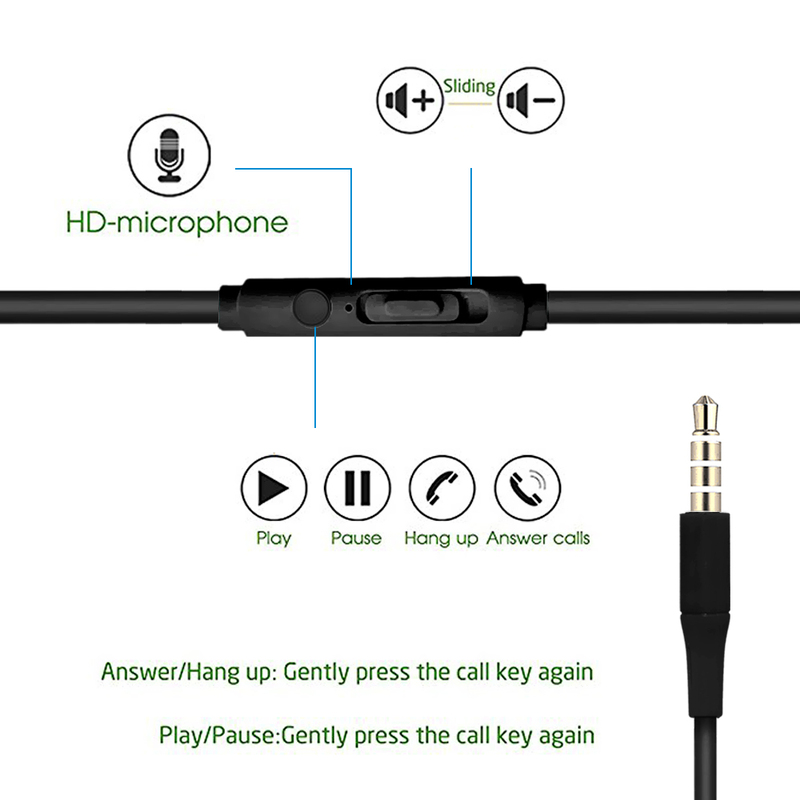 Enjoy good sound quality for phone calls and music when you are out and about. Overall length is 4 feet, 33 inches from plug to controls, 12 inches from controls to ear. Over-ear clips keep the earbuds stationary.